Outside groups are spending hundreds of millions to influence the coming elections. Help unlock outside spending by “freeing” political ad buys from television stations in swing markets. This fall, ProPublica set out to Free the Files, enlisting our readers to help us review political ad files logged with Federal Communications Commission. Here’s how we did it. The agency’s new system to put political ad spending information online turned out to be deeply flawed. After spending months digging through the tens of thousands of documents the country's television stations uploaded as part of our Free the Files project, we look back on what we learned and how to make it better. An analysis of political ad files in our Free the Files database found spending by dark money nonprofit Crossroads GPS and its affiliate super PAC rivaled spending by the Obama and Romney campaigns combined. 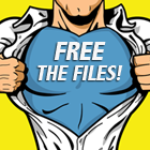 All told, 880 people have helped review at least one file as part of our Free the Files initiative. But 10 people led the pack, collectively reviewing half of all the files reviewed. 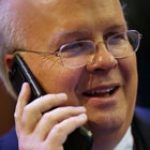 Dark Money and the 2012 Election: We Need Your Help! Join ProPublica’s campaign to shine a light on the hidden aspects of campaign finance by chronicling ad spending in Las Vegas, one of the nation’s most heavily blanketed cities. 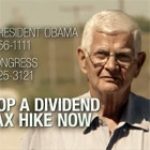 Defend My Dividend calls itself a grassroots campaign to halt a dividend tax hike. But the group's ad buys are linked to trade groups for utilities and other dividend-paying companies. 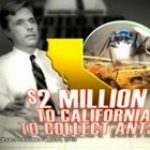 In just two weeks, volunteers for our Free the Files project have liberated information on $294 million in political ad buys. 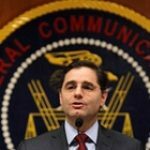 The FCC is finally requiring TV stations to upload political ad files online. Here's how to use them. 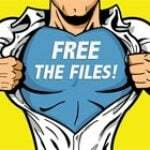 Free the Files is a new ProPublica news application tracking political ad filings from television stations in swing markets. Our goal is to increase transparency around these filings by sorting and annotating them with key data, making it easier to identify the groups buying these political ads. In our ever-expanding quest to Free the Files, ProPublica is teaming up with Huffington Post in Denver, Detroit, Miami and Washington, D.C. to unlock campaign spending. 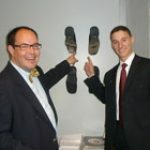 In the seven days since werebooted Free The Files, nearly 350 people have “freed” a political ad contract from the Federal Communications Commission database, unlocking more than $160 million in ad spending by 325 groups in more than 30 swing markets. 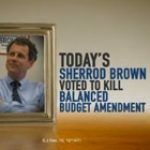 New details emerge about the Government Integrity Fund, which has run ads attacking Sen. Sherrod Brown in the Ohio U.S. Senate race. Outside groups are spending millions of dollars hoping to influence political campaigns – but they're hard to track down. Detailed information about spending is locked in documents filed at TV stations across the country. Help us uncover this spending by reviewing documents. A former aide to Republican candidate Josh Mandel reportedly did work for the Government Integrity Fund. 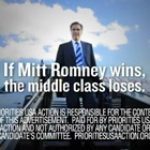 Documents show an Ohio lobbyist chairs an opaque group, the Government Integrity Fund, which has spent over $1 million on pro-GOP ads in the key Senate contest.